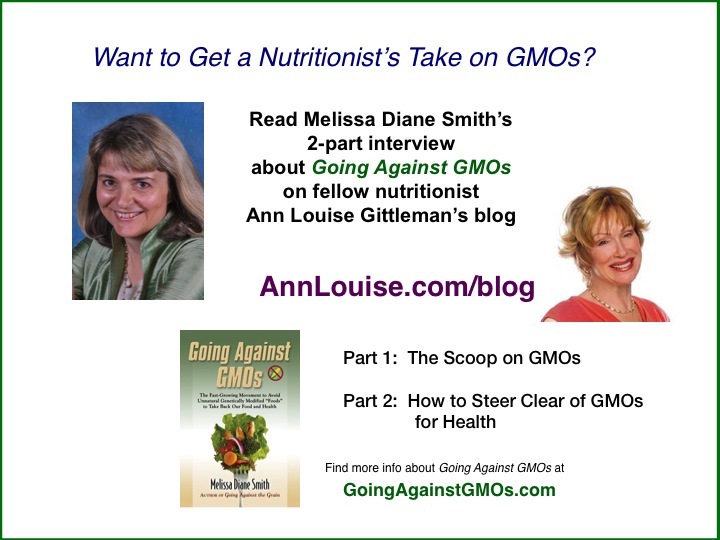 I was delighted recently when Ann Louise Gittleman, a fellow nutritionist who helped inspire me to go into the line of work I do about two decades ago, asked to interview me about my new book Going Against GMOs for her blog. She and I share the same passion and speak the same language of nutrition for optimal health, so I was able to go into much more depth about why people need to go beyond just avoiding genetically modified organisms (GMOs) than I normally do in most interviews! at the Food Co-Op during October! Live in southern Arizona? 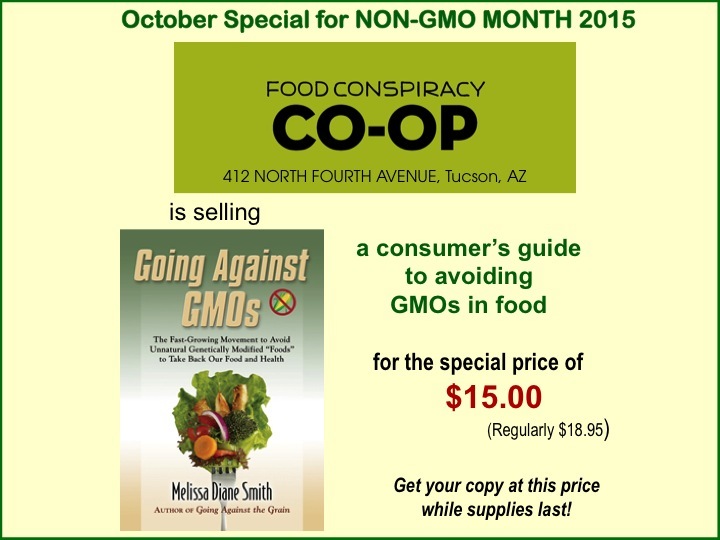 As a Non-GMO Month special – only during October – the Food Conspiracy Co-Op at 412 N. Fourth Avenue in Tucson is offering Going Against GMOs for the ultra-low price of $15.00! Get your copy of the book at this price while supplies last! 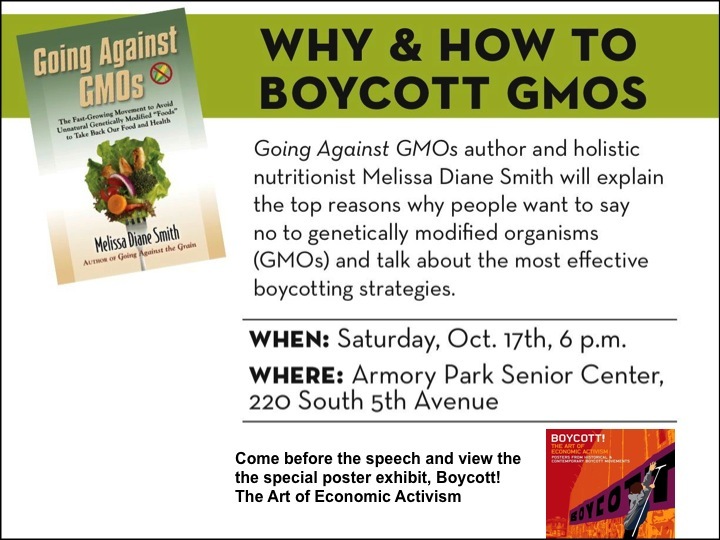 Be sure to come to my special presentation, “Why and How to Boycott GMOs,” at Armory Park Senior Center, 220 South 5th Avenue, in Tucson this Saturday, October 17th. I, Melissa Diane Smith, will explain the top reasons why people want to say no to genetically modified organisms (GMOs), exactly how to boycott them when shopping for food, and other strategies for economic action and activism against GMOs.